When good butchers buy good meat from good farms you can trust that what results, a monthly selection of ever changing meat treats, is sure to please. Whether it's pork sausage, lamb bacon or duck wings, our monthly meat subscription is chock full of goodness. And don’t worry, we've included a couple recipes so you know how to make our meat taste great for the lucky folks you choose to share your table with. Special hours for holiday pickups so you don’t wait in line! 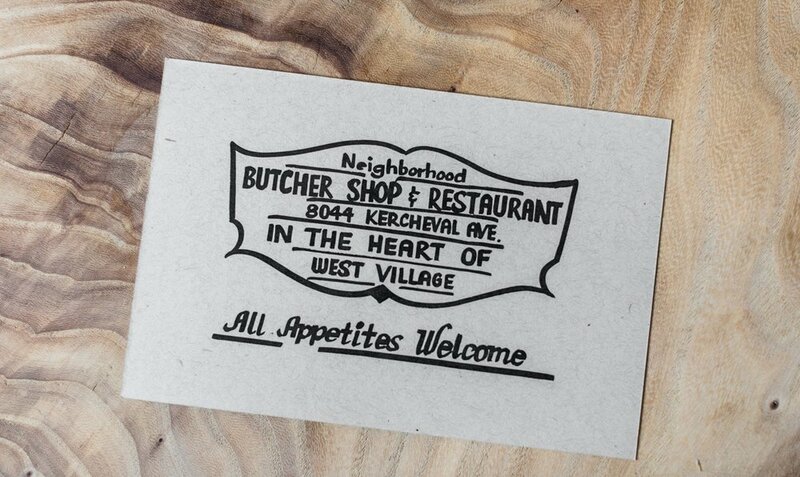 You will also gain access to our butcher hotline and receive exclusive recipes from our Executive Chef Sarah Welch. Pick up is the last Sunday of every month during normal shop hours. For more information, please call 313.652.0200 from 9AM-8PM or email nick@marrowdetroit.com.